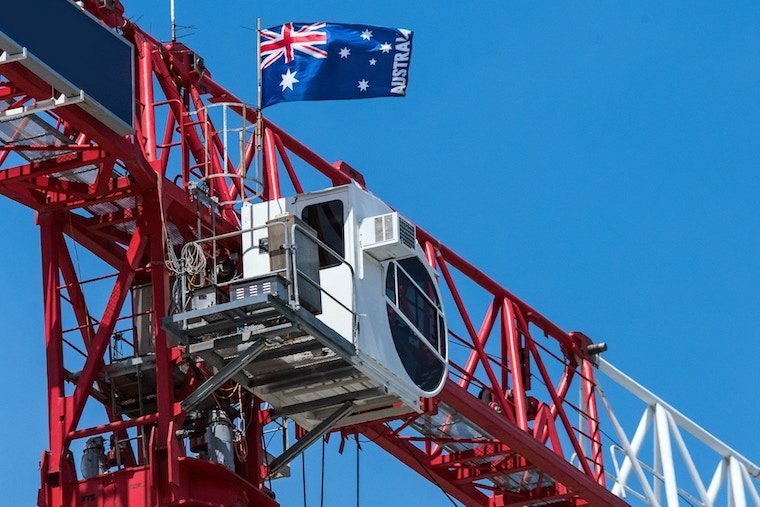 Proposed changes to the National Construction Code go far beyond tinkering around the edges of energy performance requirements for commercial buildings, according to Dr Paul Bannister, director innovation and sustainability at Energy Action. He said the committee working on the draft reforms have “rewritten Section J in its entirety”, with modelling showing buildings could see a 30 per cent increase in energy efficiency while being cheaper to build than under NCC 2016. “No stone has been left unturned,” Dr Bannister told The Fifth Estate. Even though the proposed reforms had to deliver a cost-benefit ratio of 1-1.5, if they are enshrined in the 2019 NCC iteration, compliance will bring us 30 per cent closer to the net zero goal, he said. Dr Bannister said some areas in the existing code were a little “odd, inconsistent and problematic”, such as windows. It is difficult to rationalise how the existing requirements were developed, he said. So the review team started with a blank sheet of paper to develop a new methodology. The result is a set of requirements that are straightforward, simple and mirror overseas regulations. The glazing provisions have been redeveloped to more closely match the way buildings are designed by an architect or building designer in the first place. What is now 30 pages of tables and an “opaque” glazing calculator has been recast as two pages of U-values and solar gain coefficients. The new provisions are also more fudge-proof. “The way we have done windows makes bending JV3 simulations much harder,” Dr Bannister said. The new glazing provisions provide a “stable baseline that is much more difficult to gerrymander,” he said. Dr Bannister said not much has changed in terms of insulation requirements, but there is a shift from an energy-based metric to a greenhouse gas emissions-based metric. “This is important because in a practical sense the code over-emphasises the importance of heating,” he said. The current code’s calculation methodology and relevant figures mean that one megajoule of heating demand has four times the importance in terms of performance calculations than one megajoule of cooling requirement. This doesn’t reflect reality, Dr Bannister said. With a greenhouse-based approach, heating and cooling are back on a more even keel. The proposed changes also increase the emphasis on passive measures that affect cooling demand, for example the solar gain of the building. Heating-related passive factors have been decreased in importance. There is a bottom-line benefit to be had, as it is cheaper to build for managing the solar heat gain coefficient. 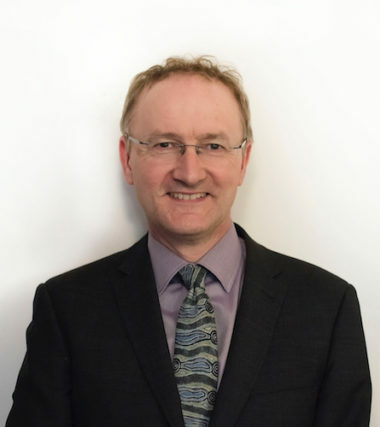 Dr Bannister said that in the modelling undertaken for the Regulatory Impact Statement, which has just been released as part of the public comment phase of the NCC 2019 draft changes, many of the reference buildings ended up “cheaper to build and 30 per cent more energy efficient” than NCC 2016-compliant buildings. In terms of how NCC 2019 may address the building envelope’s impact on performance, Dr Bannister said there had been a “shot across the bows on air infiltration”. A voluntary pressure test verification method has been proposed in the public comment draft that will create an alternative to the deemed-to-satisfy provisions in the building sealing section of the regulations. Dr Bannister said that, basically, the revised code proposes that specific types of buildings in specific climate zones consider air infiltration and pressure test verification. “Infiltration is the last big opportunity [for improved energy performance],” Dr Bannister said. In terms of mechanical services, requirements around fans and pumps have been reviewed. Measures in the current code create “uneven results”, Dr Bannister said. The current method is more prejudicial towards small systems than larger systems, and large mechanical plant systems find it “hard to comply”. This has no bearing on cost-benefit decisions, he said. The relevant section has been “re-jigged to be more component based”, Dr Bannister said. The result is a code that presents a “build-up system” approach that suits customised system requirements. There are now explicit fan and pump energy efficiency requirements that are “much more direct”. Chillers have a new benchmark to achieve, with a proposed energy efficiency standard for all chiller sizes that is above the Minimum Energy Performance Standard (MEPS) set down in federal legislation. “The MEPS requirement is about the worst possible product that can be allowed into the country – it is the absolute minimum,” Dr Bannister said. The new requirements also align with the international ASHRAE standard for chillers. The performance requirement for boilers has also been increased. Lighting is the next really big change, Dr Bannister said. The draft NCC 2019 includes a whole series of upgrades to the lighting section that are “quite significant”. They include a decrease in the lighting power density requirements by a factor of two or more – where it was nine watts a square metres, it is now 4.5. For low-light requirement spaces such as bathrooms, the figures are even lower. That particular table is also “just the beginning of the game”. A modifier for the shape of the space being lit and for control systems has also been introduced. There are also new modifiers to deal with colour rendition and colour temperature. Dr Bannister said in these days where the WELL rating is highlighting not just energy efficiency in lighting but the importance of optimising wellbeing, colour temperature is relevant. A new section proposed for NCC 2019 specifically relates to lifts. Worldwide, Dr Bannister said requirement around the lift efficiency is relatively new. However, an international standard, ISO 25745-2, including both in operation and in standby mode, has been released. Because the international standard exists, the Australian NCC can now include lifts and reference that standard, Dr Bannister said. The availability, or lack thereof, of accepted standards can be illustrated by the degree of difficulty the Australian NCC has in addressing fans and pumps. Dr Bannister said there was a “really good fan efficiency standard”. This made it easy to work up the relevant code provisions. ”It is much harder with pumps. There isn’t an over-arching international standard that’s accepted by the industry,” he said. This comes back to the state of the industry itself. Dr Bannister said while the international fan industry is well-coordinated, the pump industry is not. What would be 50 pages of detailed and specific information in a standard, without one it is one page of building code. Dr Bannister said there is a resolve to have a pump standard developed by the next iteration of the code for 2022. Dr Bannister said the verification method for Section JV3 has been “opened up” so projects can use the verification methods for achieving NABERS ratings or Green Star ratings to meet NCC verification requirements. That gives projects an opportunity to bypass the need for a separate JV3 verification if the project is already committed to achieving NABERS or Green Star ratings, as the simulation can be used directly for meeting NCC JV3 requirements. He said this would lead to better “quality control” outcomes, as both NABERS and Green Star require independent review and verification of the performance simulation. Dr Bannister will be giving a presentation on the NCC 2019 draft Section J at ARBS 2018 in May. The Australian Building Codes Board has released the draft and the accompanying Regulatory Impact Statement for public comment. Have your say here. Whilst energy improvements are always desirable, LED lighting is very efficient, and the aging population, who generally have poorer eyesight, do need to be able to see, particularly in wet and service/ back of house areas which have higher falls risks. A kitchen,laundry, bathroom or ensuite may only be a small area but has many nooks and crannies at high and low level, and thus requires more rather than less light. Heating/cooling, cooking and motors use much higher proportions of energy in both domestic and commercial installations than lighting, so the focus should be on those high consumption areas. Poor but SectionJ-compliant lighting could arguably present safety in design risks/concerns. When one takes into account the room aspect ratio factor and the control modifiers, the proposed lighting power densities are far more generous than they look when one just looks at the IPD table, which is a mistake many commentators seem to be making. As for correction for task and age, this is something I have advocated is added into the code, in line with the current AS1680. I suggest you do that too. As a general comment, the way to engage with the public comment process and get a positive outcome is to address specific problems and suggest specific solutions. This gets results, because all parties want practical solutions. Our lighting design team is very concerned at changes proposed for lighting as the proposals fail to consider human response. Dr Bannisters belief that bathrooms are Low light areas is a fallacy and not connected to the reality of life. The proposals fail to consider that the aging population requires more light and that LEDs are not yet as efficient as the folklore. Get ready for the dark ages if sect J is approved as proposed .